A new Settlers game is in development and is being led by the original creator, Volker Wertich, who very kindly agreed to be our virtual guest for interview at Amiga Ireland 2019. The event happened on January 18th & 19th in Athlone, Ireland. These interviews are conducted using a large sound system with an overhead projector. Here is an abridged transcript. AI: Volker, thank you very much for giving us some time today. We all know you of course as the creator of The Settlers and you have a new Settlers game coming out but maybe to start with we could go back to the beginning? AI: You started developing at the age of thirteen and sold your first game at the age of fourteen. How was it possible to learn and produce something in such a short period of time? VW: and of course the VIC-20 originally had 3.5 KB of memory space. That’s not that much so whatever you’re doing, your project will probably be finished after a few months otherwise there’s just not enough space to do any big project there. Another thing is of course at the age of twelve to eighteen I guess you can learn things very very quickly if you are dedicated to them. So I cared much less for school and much more for coding and that was really exciting. I had some logic talent but not really a language talent so this was really helpful. On the other hand if you just have to co-ordinate and agree on design and coding implementation with yourself you can become incredibly efficient. The standard of the Amiga Ireland 2019 MOD Competition was very high this year. A huge thank you to those who gave their time and talent to enter. Congratulations to all involved. Thank you also to amigaforever.com, c64forever.com and www.retroready.one for sponsoring the prize for first, second and third place. The MODs were played on an A1200 with the exception of #4 which was played using WinUAE for technical reasons. Ice Cube – Last episode before Amiga Ireland 2019! We have Mortal Kombat news – twice! 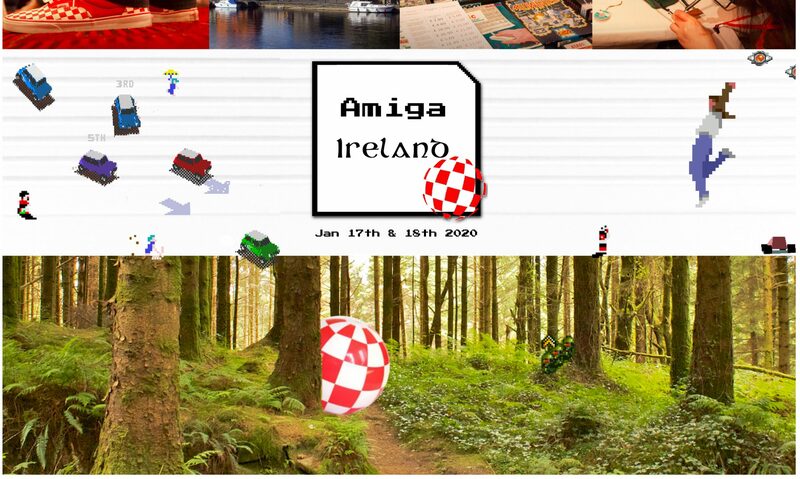 Happy Christmas from Amiga Ireland to everyone listening and coming to the event in January. One more podcast until the big weekend! Music: Joe Dixon’s excellent cover of Walking in the Air from Frosty the Snowman 2 Turbo! Vampire 1200 closer and closer. First video on YT. Geos 2.0 source code released.